You have $100 extra per month. Should you pay off your mortgage early or invest? The key thing here is to actually do an analysis, as opposed to throwing around hand-wavy arguments like “Renting is throwing your money down the toilet” and “Leverage always makes you money.” If you make a financial decision that will cost you hundreds of thousands of dollars without doing real math on a spreadsheet, then you are a moron. In fact, it should be so hard that you have to get help from other people. Note: I also keep a list of real-estate bookmarks here. Interesting. Simple but interesting. Most of the best advice seems to be come in and be the simplest of all ideas. A lot of times people always try to over analyze a situation and it gets them into trouble. A simple gesture as easy as writing things down will almost always give you the clear understanding. One of the things that the Consumer Reports article doesn’t take into account (but they did say you put 20% down) is if you are paying mortgage insurance payments. It _may_ be worth it to pay the extra 100$ to get rid of the insurance payments, then invest the extra 100$ plus the extra money that would have gone to the insurance payments. Just something to take into consideration. Historically the stock market will give a better return than many investments, plus the mortgage payment is usually a great tax write off. Um, that Consumer Reports link specifically says to invest, not pay off the mortgage. …and they did it by running the numbers. Chris, ack — fixed text above. Thanks. What if you are not in your 20’s, what if you are in your 50’s and looking toward retirement? A small mortgage paid off would result in no monthly payments when you retire. Charlie: You could say the same about investing more and living off the income. That’s why you run an analysis (or get someone to help you do it). It’s certainly a very complicated choice. The article on Get Rich Slowly finds a compelling situation: Where the monthly out-of-pocket expense is much lower for renters than it is for buyers. This isn’t always the case, and will depend on the situation in your local market. Also, I don’t think either article took into account the tax incentives you get for owning a home. This tends to favor home ownership. But to be fair, you also typically have to make a down payment on your home, so you also have to evaluate the opportunity cost of putting that down payment into the purchase of a home, or investing the money elsewhere and renting instead. Where you want to live matters too — if you want to be in an urban area near a subway, you can often find more rental choices that meet that criteria. If you want to be out in the suburbs, there are typically more ownership opportunities. To get back to the specific situation where you already own and are considering whether to make extra down payments — I would suggest that if you have negative equity, I would seriously consider making the extra principal payments in the hopes of getting yourself out of that situation. That way you improve your chances of being able to sell your home without it being a short sale (i.e. where the seller has to bring money to closing because he owes more than he is selling the home for). Lots and lots of factors to consider — you’re right, there’s no right answer and it’s not a simple decision. For your particular situation running the math will give you the “right” answer based on your assumptions. But are your assumptions right? Unfortunately, the future is pretty uncertain… so you won’t really know if those assumptions are good until it’s too late! If your mortgage rate is low it’s a pretty easy decision- I’ve got a at 5% rate so even a very conservative investment strategy will yield more than paying off the mortgage early. If your rate is higher it becomes a question of what you believe your investment return is going to be. However, no one really KNOWS. When there isn’t a clear winner I would favor the investment route because pre-paying the mortgage doesn’t reduce your monthly expenses until the house is completely paid off! The investment route lets you build up cash immediately which could go toward living expenses in an emergency. The Investment should be much more liquid- especially if the portfolio includes some % cash and bonds. What if you have been paying extra on your mortgage and lose your job before you have it completely paid off? If you don’t have any cash reserves you could face foreclosure and lose ALL of those extra payments unless you can sell. Would you like to HAVE to sell a house in the current market? If you had invested the money, even if you lost the house you would still have the investment money. That would make life a whole lot better wouldn’t it? I read somewhere that your house is not an asset but a liability, and that your mortgage is the asset. That you should never pay it down. Having equity is bad. Its not FDIC insured and is gaining 0% return. Put it to work. For some people, they need that tax write off. Its better to invest in real estate. Have someone else pay off your debt, and let 8-12% inflation attack the debt. For estimate example, $200,000k NOW while rates are so low, in 15-20 years from now after inflation its close to half and your paying in depreciated dollars. (The tenant pays). From a purely analytical perspective using my current scenario. 30 year fixed at 6%. If I pay 100 into my mortgage every month, I will end up paying off my house 3 years earlier and saved ~$50,000 in interest paid to the bank. If on the other hand I invest that $100 in a good growth stock mutual fund, and average the return to a modest 9%, at the end of the 30 years my mutual fund should be worth ~$ 195,000. To me it makes more sense to invest it and let it build up so the compounds starts making some real money. For those of you who don’t know catalan the sentece in the picture says : I don’t have a life, I have a mortgaged house. 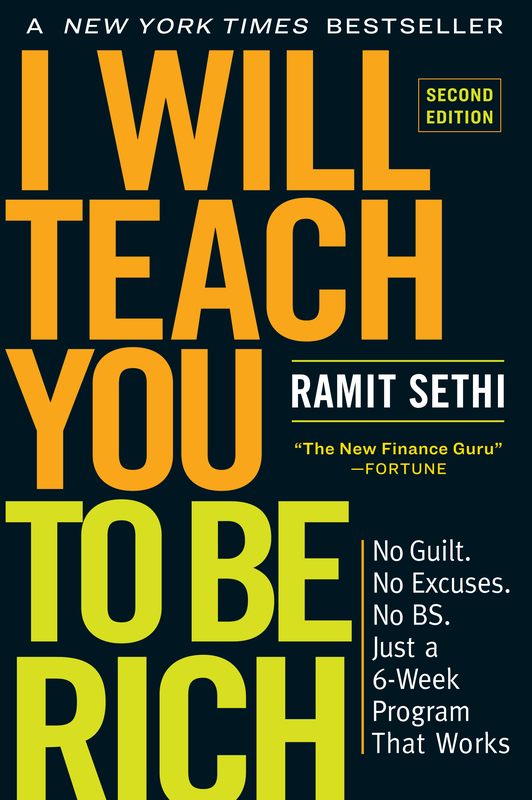 Ramit, you made my day! Jason – did you take into account that you can invest your would-be mortgage payment once the mortgage is paid off? You should compare the same amount spent each month over 30 years. This might make more of a difference with a bit more money applied per month, so the mortgage gets paid off faster, and you end up with more to invest in the end. Again, it’s about running the numbers – but doing it properly. Make sure your assumptions are correct (like supposed “tax savings”). I believe that you should spend the extra money and pay off any old debts. But you should never pay it off completely. If you do you will lose the tax credits. mh – I could do that, but in 27 years, it won’t leave me with a lot of time to be an aggressive investor, compound interest would have a strong foothold…on the flipside, to reanalyze the numbers if I did take my mortgage payment the last 3 years and invest it, again 9% return it comes out to ~110,000… so now the score is $165,000 versus $195,000…that’s a lot closer! With it being this close it would certainly be more of a chance factor with 27 years of investing if 9% would happen….if I only averaged 8% return for the 27 years, the score becomes $165,000 versus $159,000..
Jason and mh got to what I was going to say. If you get the house paid off early and then invest the extra 100 plus your mortgage payment, you end up with a much better situation. As always, to each his own, but that 3 or 4 years of mortgage payments invested early will add up real quick further down the road. Those of us with mortgages under 6% and the confidence that we can find a better return than that don’t need to think about this for too long- invest the money. Keep in mind, though, that churning your investments can lead to tax consequences that could wipe away incremental gains. Simple, pay it on the mortgage. By making 1 extra payment per year, you shave off 7 years of interest to your lender. Double that and you cut your time in half. You build equity faster and then you can spend that extra money on things you really want, and save yourself hundreds of thousands of dollars in interest. Simple table. Take the price of the house, triple it, and that’s the true cost of owning a home. Cut that time/interest down, and you really have a bargin. Check out the mortgage calculators on any site. What happens if you apply half to paying off the loan and half to investing? This supposed tax write-off advantage to the mortgage is killing me. The taxes saved are significantly smaller than the interest paid to make it happen. Would you really like to pay interest to a lender in order to get a significantly smaller tax advantage? Matt: Agreed, a lot of people love a write-off but forget that they wouldn’t be paying that money in the first place if they didn’t have such a high mortgage relative to rent. It’s a nice benefit, but that’s about it. It would be interesting to hear what the results on consumer reports analysis would be under present market conditions. Home values in CA have dropped 30% while many of the money market funds are down as much as 45% and more. I am interested in this add 100.00 to your monthly mortgage payment. But, do you see any result right away, or soon, or does it just cut the time you pay off your mortgage by 3 years? Also, a good idea each year would be to (if you don’t have credit card debt) use your tax return money and put it towards the principal on the mortgage. What other ways can we substantially cut the amount of years we pay on the mortgage? Having it paid off in say 10 years by being creative ? Lets talk about that. Any ideas? Maria: The interest you pay for each payment is calculated once a month on remaining principal. So, if you pay extra on the principal, you will see a (very slightly) lower interest amount on the very next payment. This keeps building and building over the months and years. Keep paying down extra on the principal, and save interest the whole way. I just refinanced my mortage and will save about $150/month. If I invest it in a low cost mutual fund with a modest 6.5% return for 27 years (remaining years in my old loan), I will have $131000. If I subtract the $32000 owed for the last three years on the new loan, I still come out $99000 on top after 30 years. Thanks for the post and comments from the users. It really helped me confirm the direction I was going to take with my new found cash. You won’t be paying your mortgage for 27 years, only the next 15 years,(applying the extra $150.00 monthly to the PRINCIPLE) and as for making that kind of return (6.5) on a mutual fund in the next 15 years is anyone’s guess… but doubtful. I don’t know where someone came up with a 3 yr change but that is incorrect. Your interest rate doesn’t change unless you refi, but the principle of your loan changes(goes down), thus reducing cost of dollars/time. I would like to mention, that if your intest rate isn’t at about 5% right now, I would encourage you to refi. You will make up the cost of the refi, in the 1st year, of payments vs paying a higher rates. Then, I would encourage you to make extra payments towards the principle. You might also check the payments for a 15 yr, vs 30 yr. Sometimes it’s only about $100 more for the difference, but still less than if you have a higher rate, and the interest saved is huge. Then continue to make as many extra payments to shave that to a 7yr payoff. You can check out these figures on www.af24-7.com on the calculators. Shelly’s advice to Mehul is the most thoughtful I have seen on this thread. Advice that is meaningfully backed by reasoning. If you would like to pay towards mortgage it may be a better option to rent and not own a house. Although personally I think it is better to own within ones means than to rent. It is easy to say invest and earn on average 6%, 9%, etc, etc than to really do it. May be I am not that financially educated, but there are some very simple things that seem contradictory. If it were so easy to invest and get 8% – 9% average in mutual funds, why are banks so willing to lend the average joe at 5% – 6%. Why aren’t they instead putting in mutual funds to get those higher returns? Are some other things at play such as fund fees, etc, and more importantly market crashes like the recent ones? You’re not keeping the mortgage for the tax deduction. You’re keeping the mortgage for the liquidity. If person A puts and extra $40,000 towards their mortgage, and person B saves the $40,000, person B will be in a much better position if they lose their jobs. As the current economy shows, getting out that $40,000 from your house can be impossible at times. Ideally, you’d have a large cash reserve, retirement fully funded, house paid for, etc. However, for the majority of us who aren’t quite there yet, the liquidity can be a lifesaver. The problem in this example is that the stock market period is between 1986 and 1996 during a large portion of the market’s largest up swing in history. It would be interesting to see the same comparison during 1997 though 2009.